Avista Mindfulness offers a number of courses and workshops throughout the year to the general public in Melbourne, and in the Geelong, Bellarine and Surf Coast region. Avista Mindfulness offers six session workplace mindfulness courses tailored to the needs of the organization. Another important group in our community are parents, especially of younger children and babies. 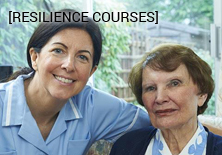 This unique course is designed for people working in the most challenging jobs in our community – the helping professions, such as social workers, carers, community workers, health workers and environmental change agents. Avista Mindfulness offers an experience of mindfulness meditation for any size group at your conference, strategy/planning day or team building event. It’s like I have discovered a reservoir of calmness and tranquility that I did not know was there inside myself… my perception of having energy to spare has increased considerably. A quite astonishing improvement in mood and optimism came through from the well-being questionnaire. The big changes were in dealing with problems, confidence and cheerfulness! Wow! 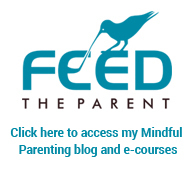 Mindfulness used to be quite daunting and I never really ‘connected’ with it. Now, coupled with my meditation practice, I understand how mindfulness can be applied. Mindfulness grounds me in the moment. The training is very practical and I liked the different ways we were asked to reflect on how we were practicing. Great – really enjoyed it. Practical, useful and well structured and taught. Thank you.